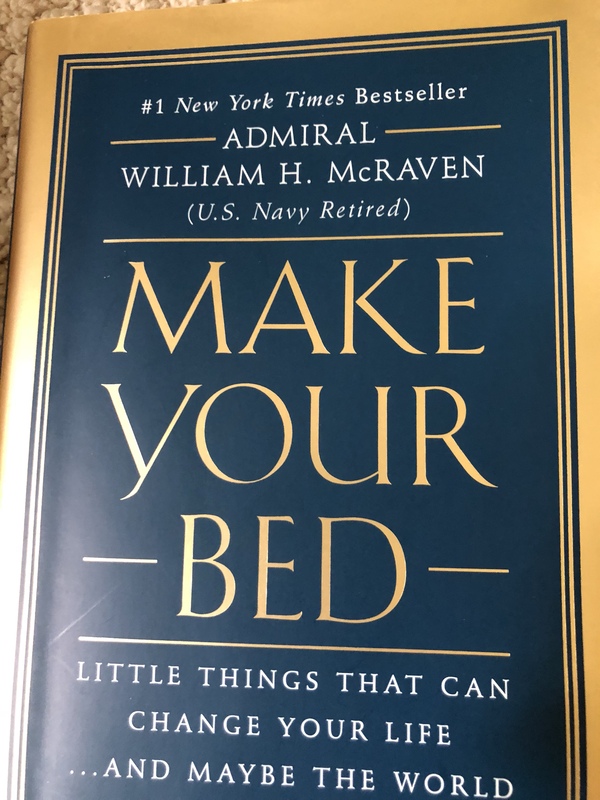 Admiral William McRaven gave a commencement speech at University of Texas on May 17, 2014 that subsequently garnered over 10 million views. The title of this talk and the name of his new book is “make your bed”. I just started reading this book and I find it fascinating, simple and very applicable. I attended Valley Forge military Academy where I graduating high school in 1984 and college 1986. Among The many life lessons that I got over my four years at the Forge where how to properly make my bed every morning. We had frequent inspections that focused on how we folded our clothing, if our shoes were properly shined and last but not least if our beds were made properly. It took me a while to learn how to properly make a bed but push-ups were a great motivator. Flash forward to today and my wife will tell you that I enjoy making our bed and seeing that it’s made. Have you ever heard the old saying an apple a day keeps the doctor away? What is that true? It be easy to do but it’s also easy not to do as Jim Rone says. Sometimes it’s the simple things – the easy things – that make all the difference. For me one of those things is making my bed every morning. Another would be taking a cold shower but I’ll talk more on that on my next blog. If you’re the one reading my blog please let me know sometimes it feels like I’m writing it for myself. I would love to hear your thoughts on my posts and if you find value in them or you’d rather a talk on different topics.